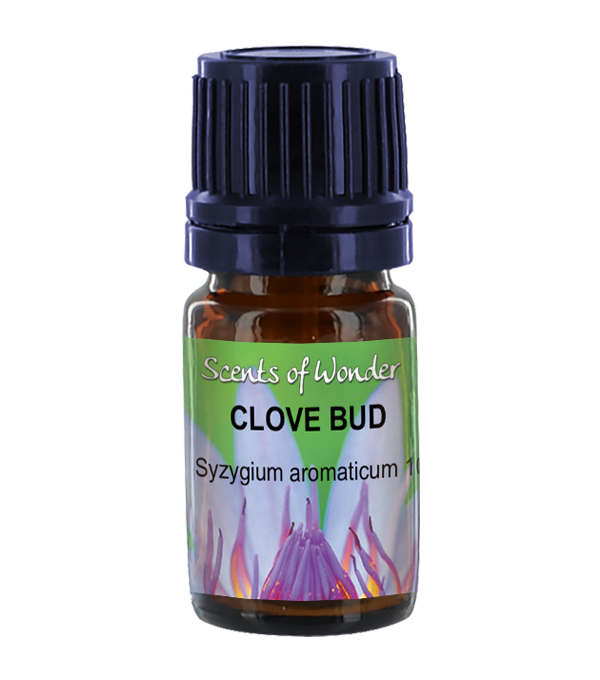 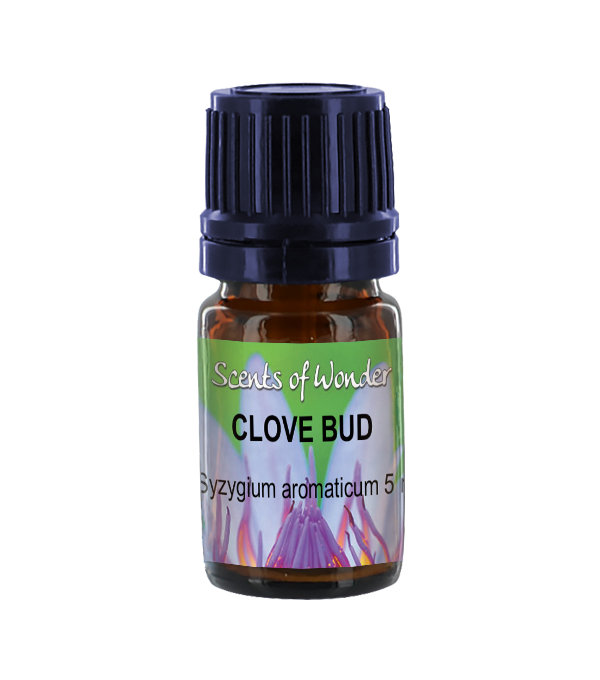 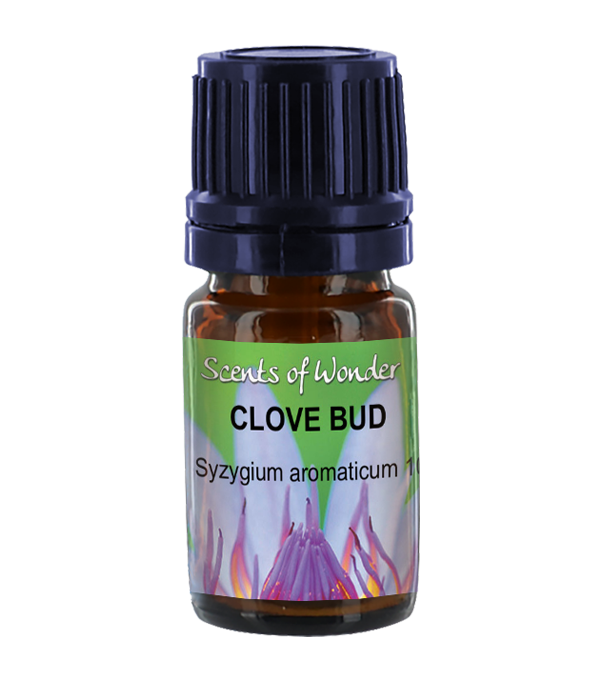 Clove bud is distilled from the bud of Syzygium aromaticum. 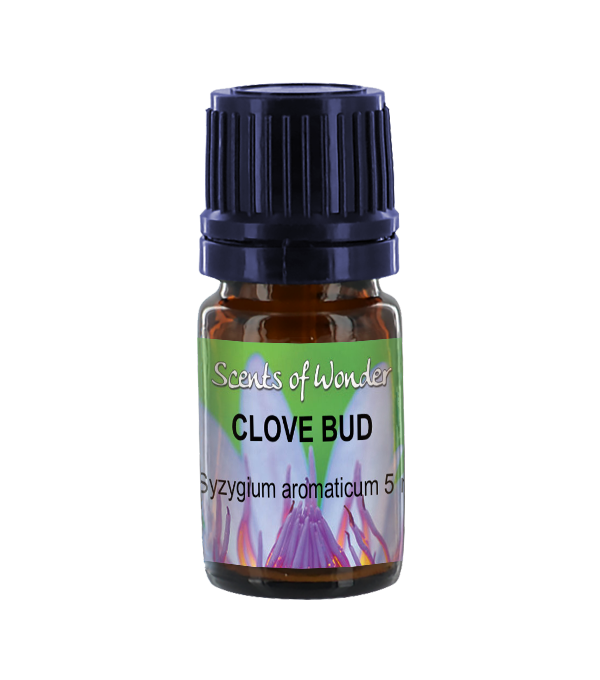 Clove bud has been used in dentistry for toothaches and gum infections. It is useful for neuralgia. Dilute if using on the mouth, as it can be a dermal and mucous membrane irritant. 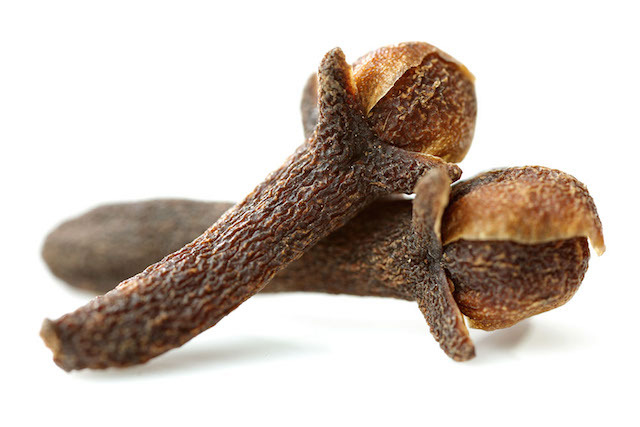 Avoid in pregnancy, with small children and do not take internally.